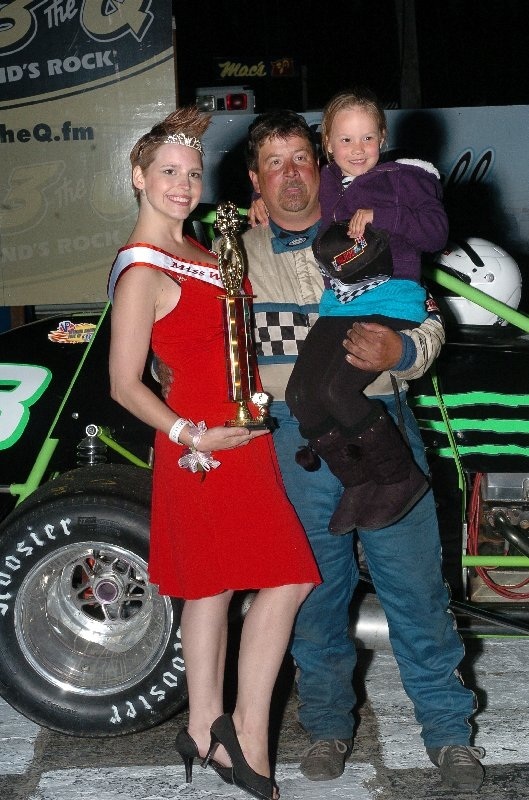 Local singer jenny rhodes opened the billy foster memorial and strawberry cup, part 2, saturday night with the singing of the u.S. And canadian national anthems on a great night for racing and what a great night it was. 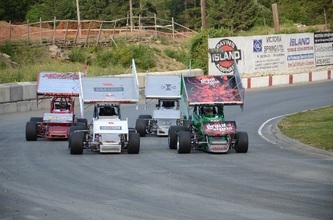 Guy barrett, jeff montgomery, and scott aumen all set qualifying speeds under the 14 second mark in the sprint car series with barrett having the best mark of these three at 13.926. 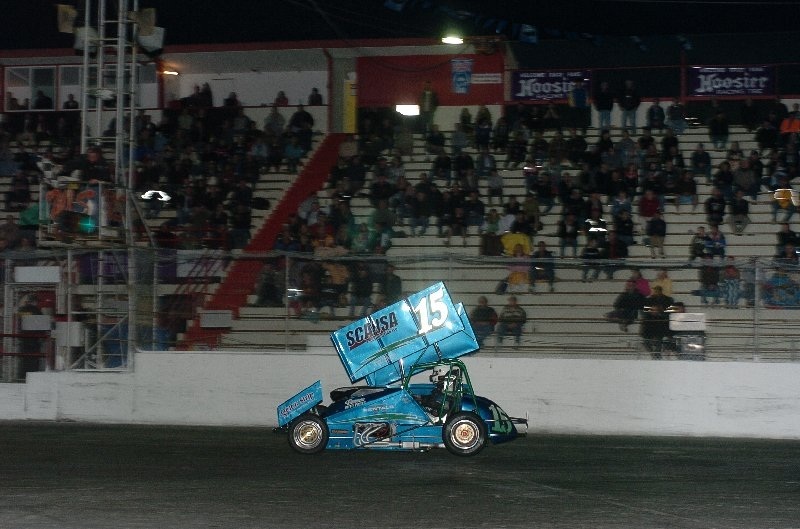 Sierra jackson, the driving sensation from boise, idaho; came out again and as she did on friday, and showed everyone how to get around western speedway as she set a qualifying time of 13.664 just over the track record of 13.62. 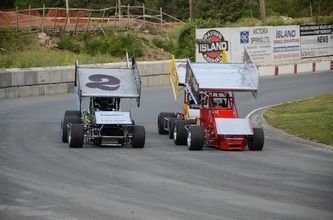 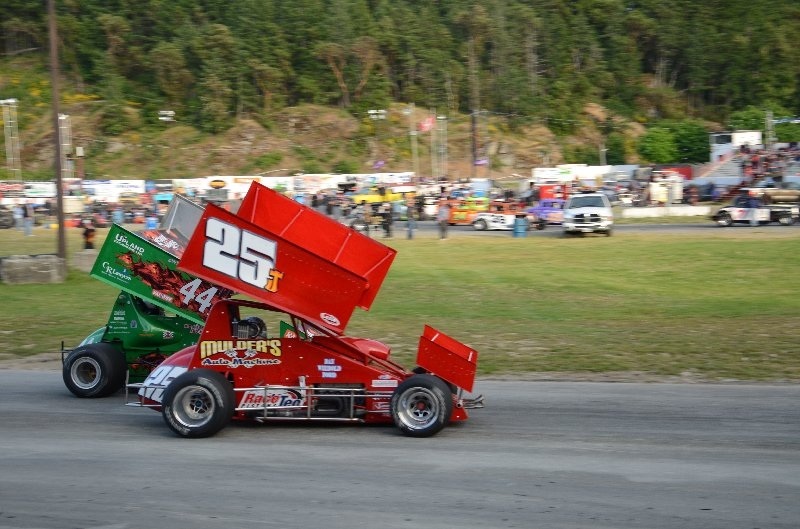 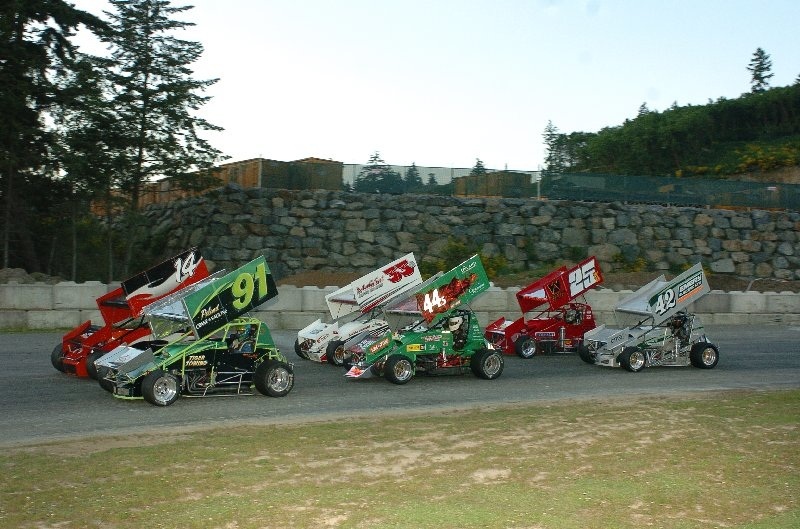 Richlock rentals again sponsored a full program of trophy dashes, heat races, and feature events for all classes. 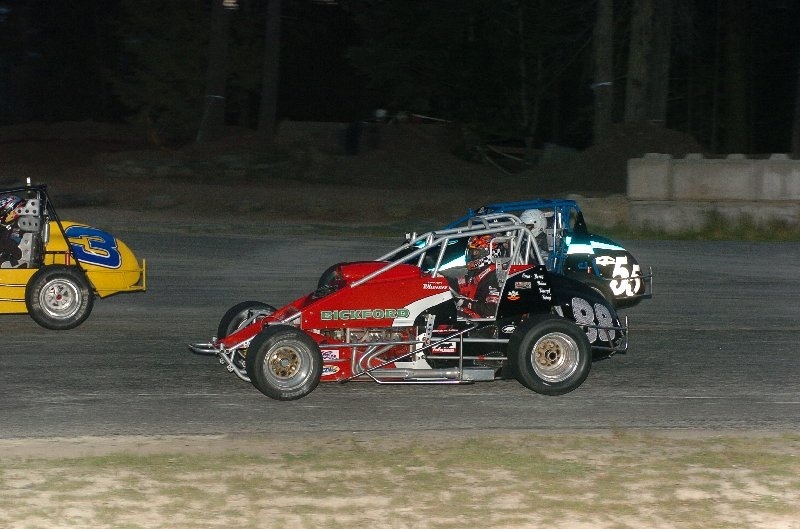 Robbie haslam was victorious in the b dash and chris root the victor in the a dash for the wilroc lites, and jeff montgomery blasted his way to the win in the a dash while the b dash was wiped off. 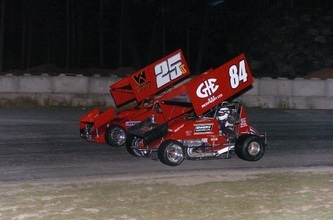 Jesse and steve dardengo won the wilroc lites a heat and b heat respectively and rob scott and matt mansell found victory square with the wilroc sprint car series in heat race action. 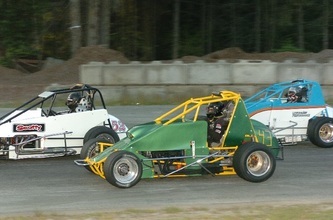 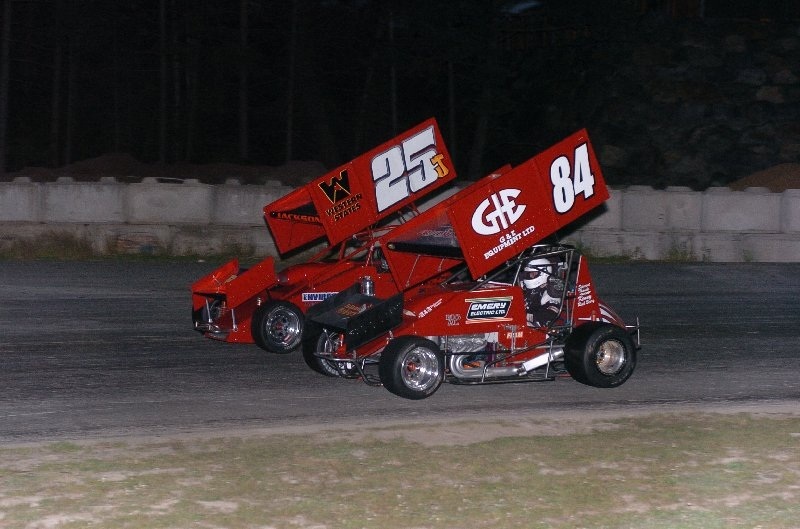 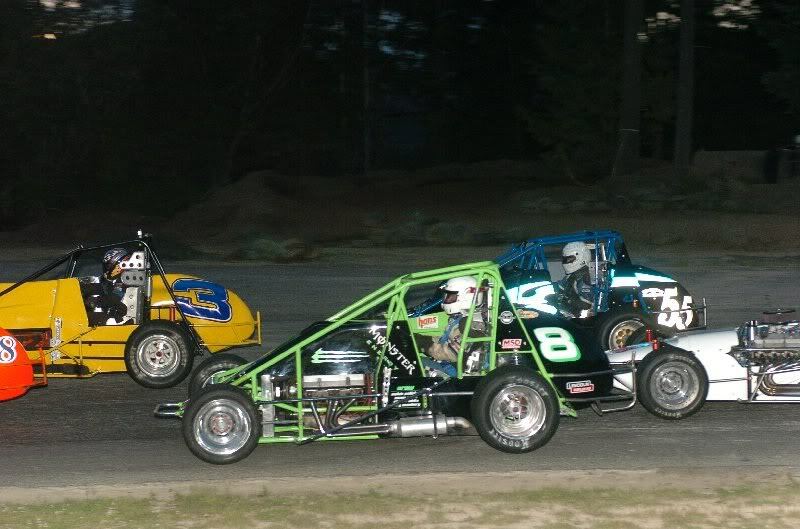 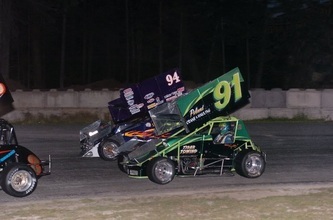 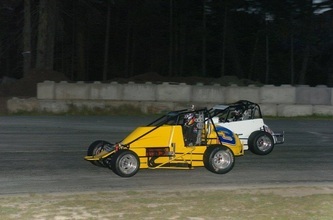 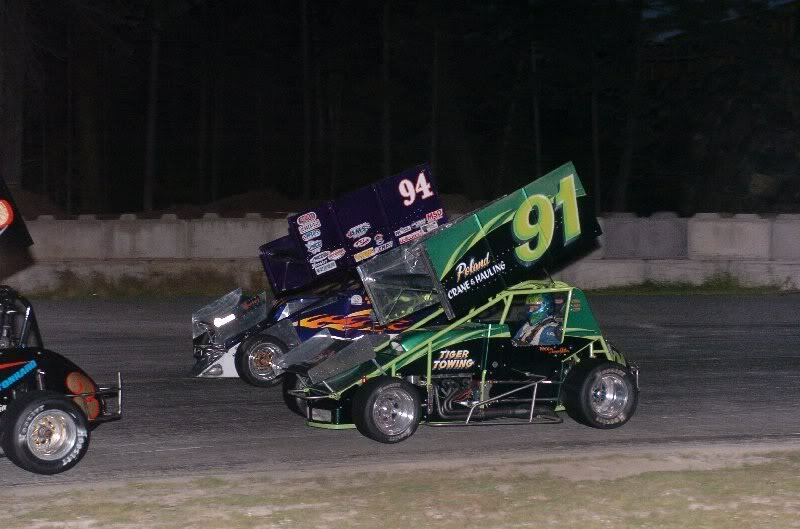 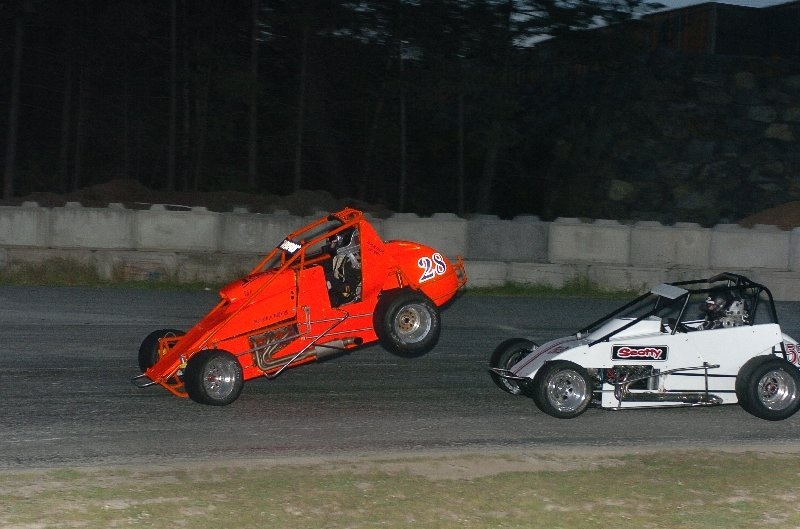 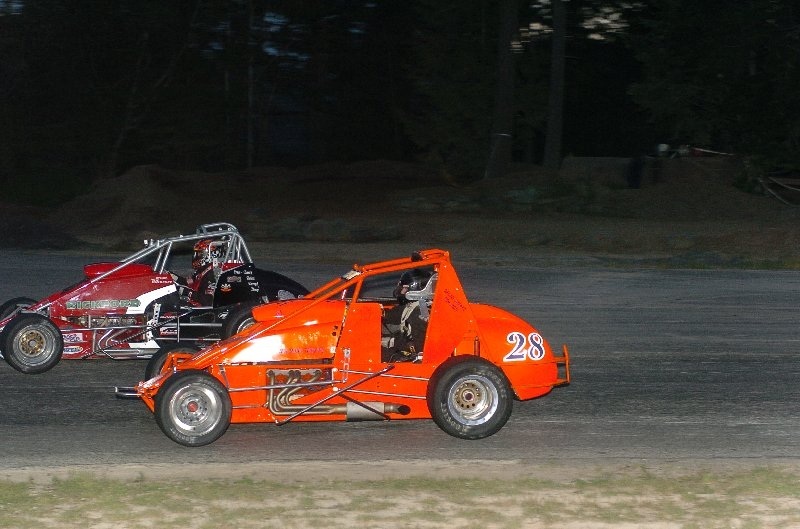 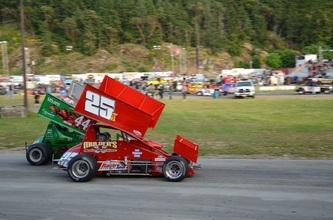 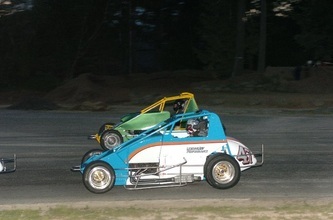 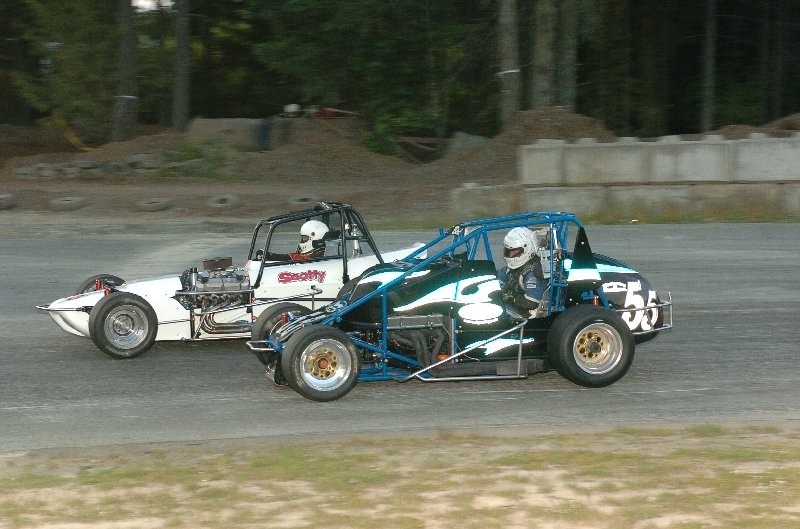 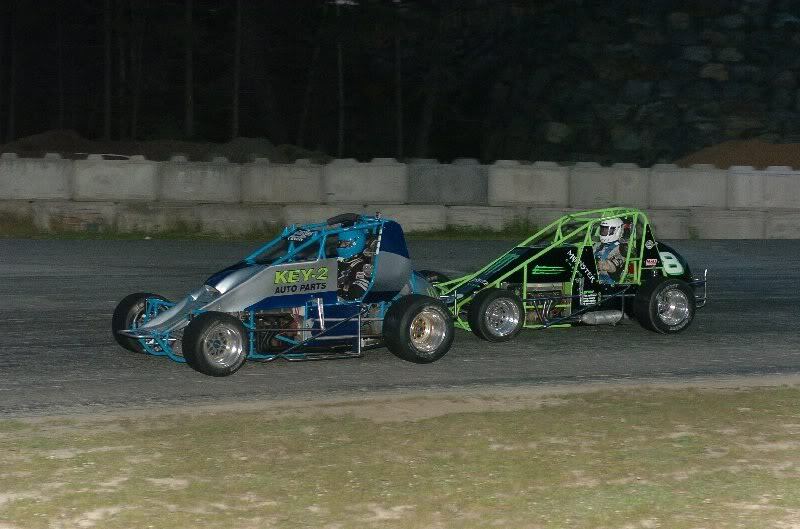 Steven dardengo and jim giles shared the front row for the start of the wilroc lites feature event for thirty-five laps of racing. 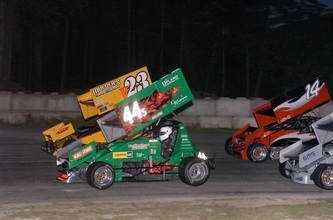 Steven took the early lead followed by wayde heckford and rob haslam until heckford entered the pits with mechanical problems after just three laps. 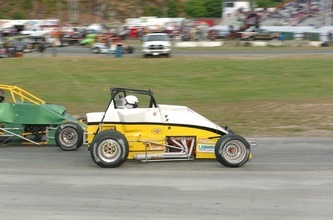 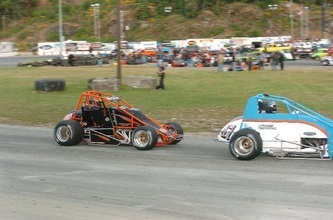 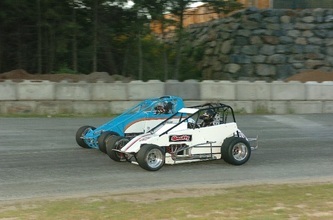 Haslam then took the second spot with jesse dardengo running in the third spot. 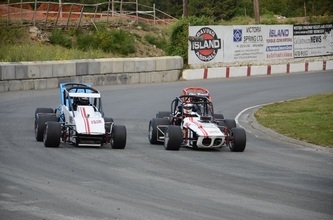 On lap eight, haslam moved to the outside of steve and by the ninth lap completed the pass for the lead as jesse dardengo made his way to the pits with a problem after a spin out bringing out the yellow flag. On the restart, haslam again grabbed the lead with steven dardengo holding the second spot with deter lejeune behind him. 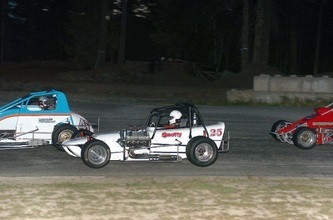 On lap twelve chris root made his way into the third spot and then moved into second three laps later dropping dardengo back to third. 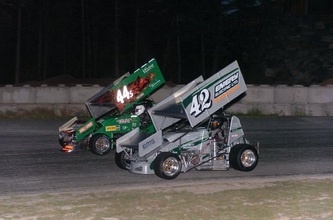 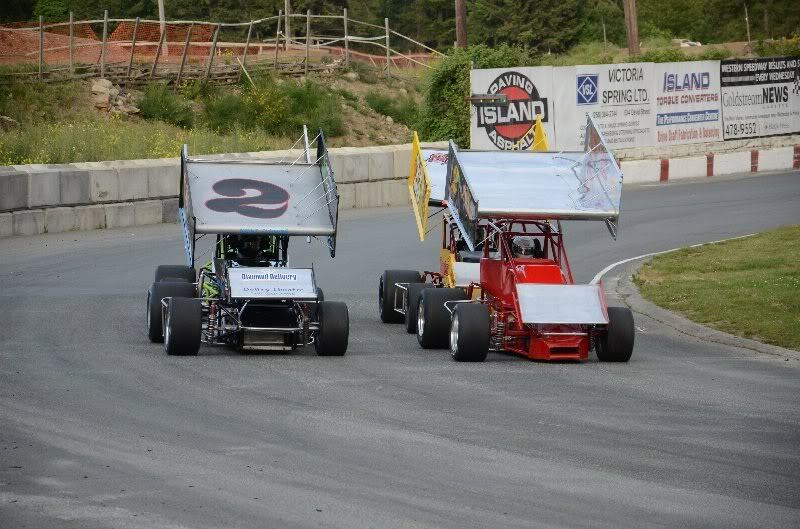 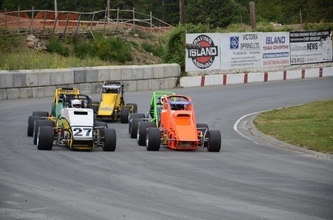 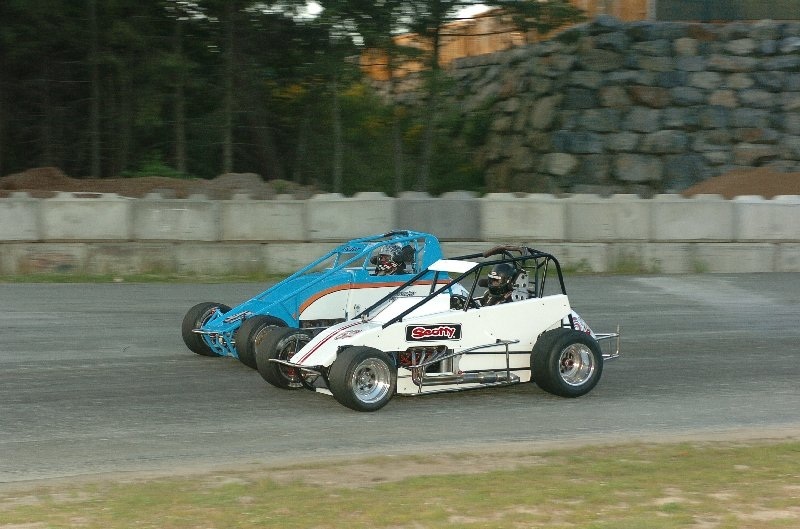 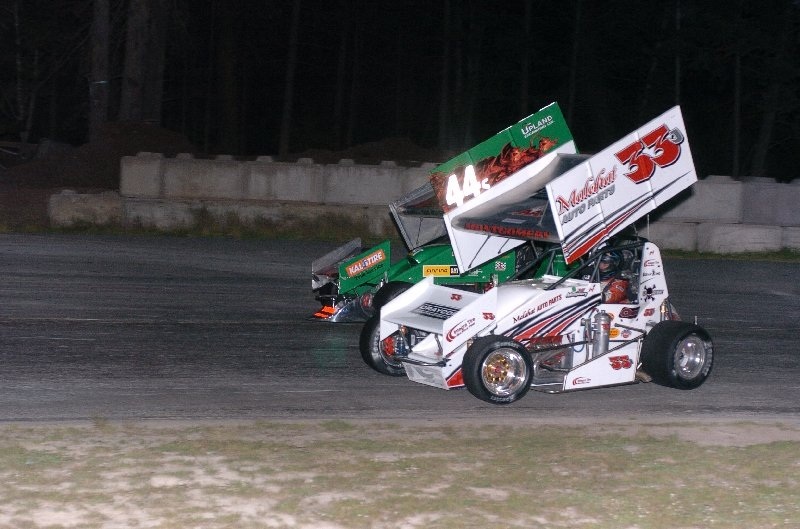 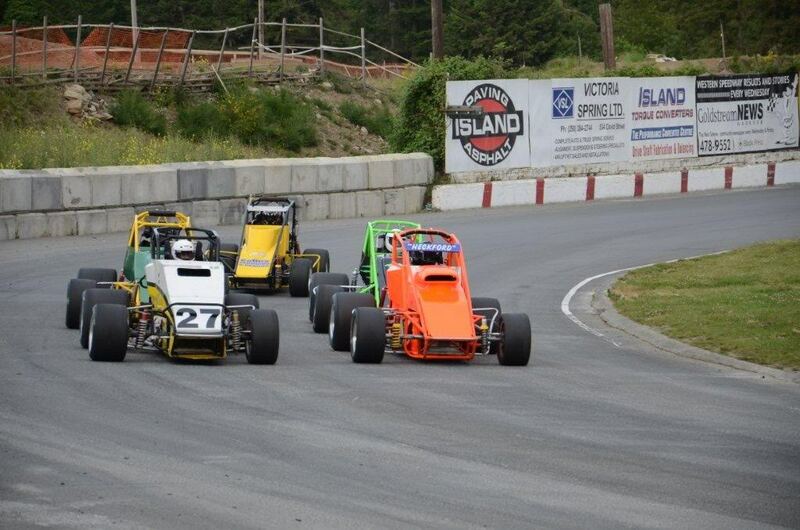 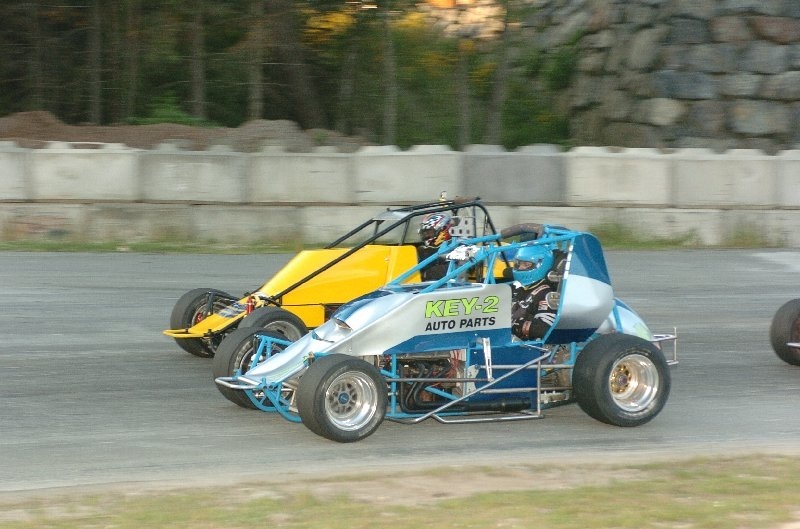 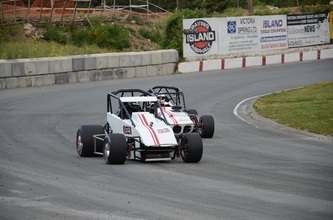 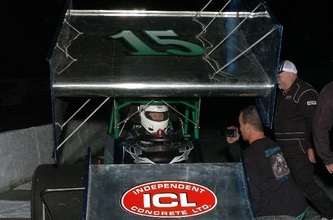 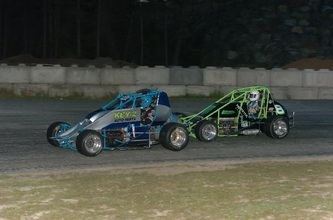 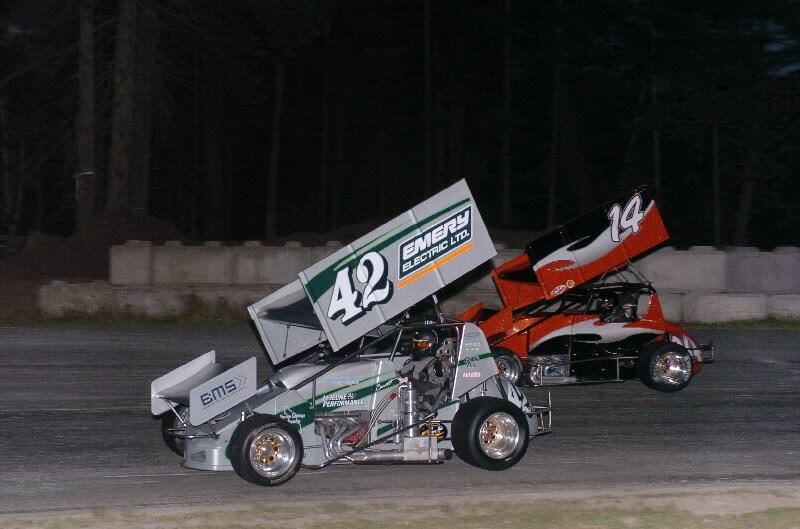 Over the remaining laps the best racing was for the fourth and fifth spot that included brian bickford and lejeune. 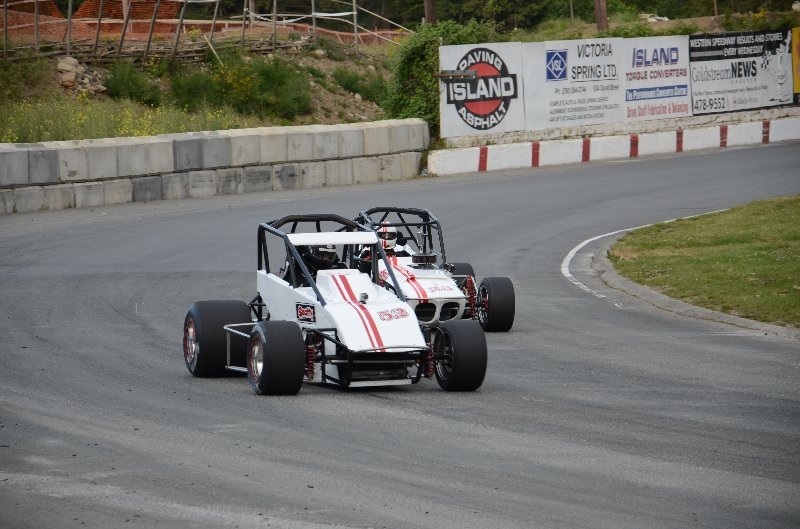 Robbie haslam took the chequered flag first followed by root, dardengo, lejeune, and bickford rounding out the top five positions. 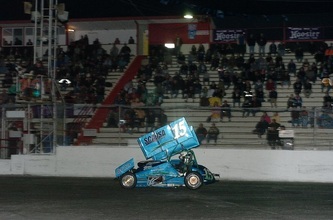 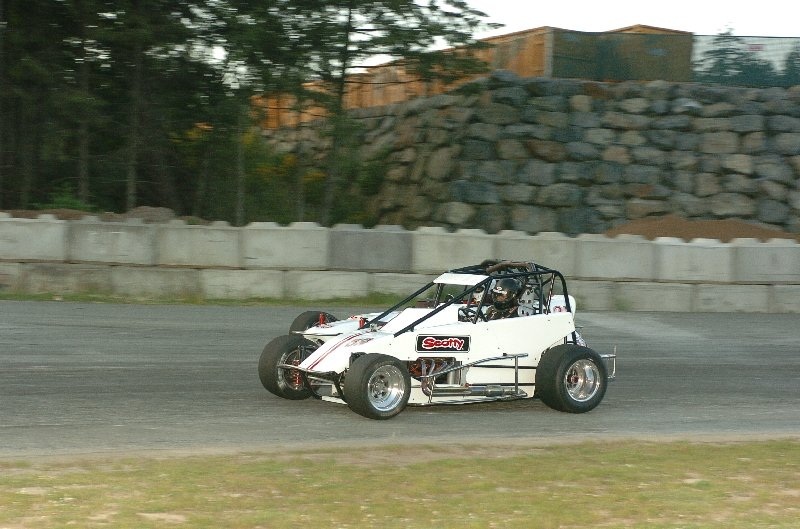 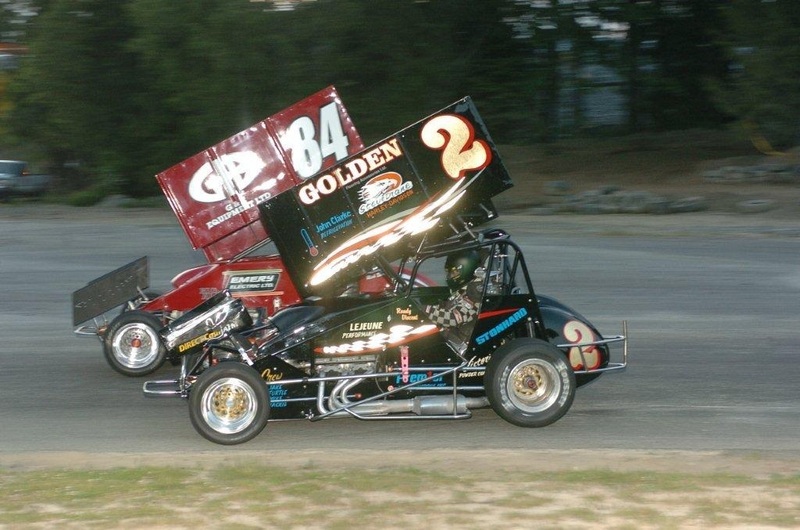 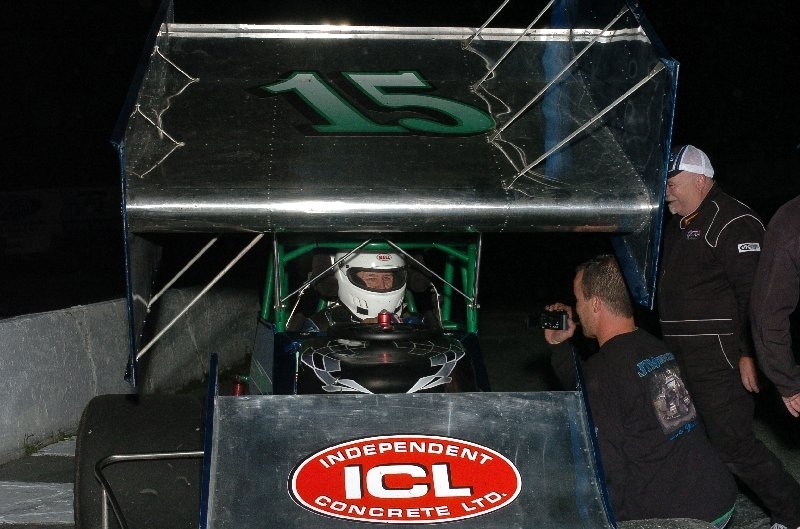 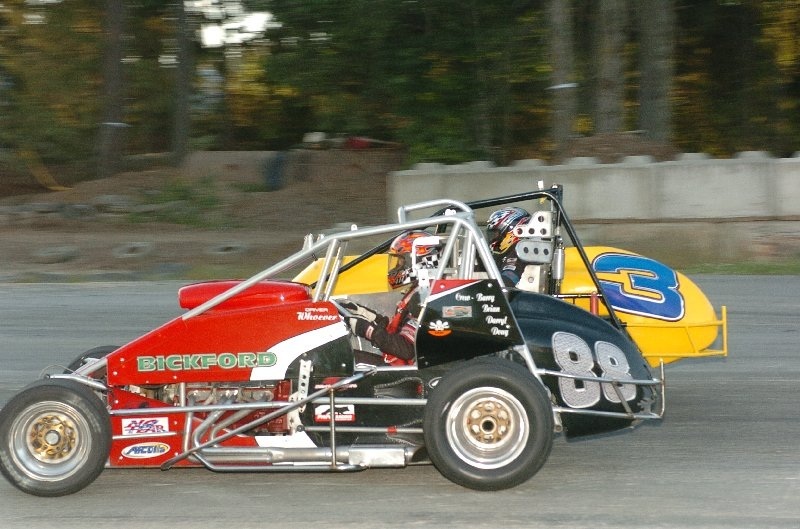 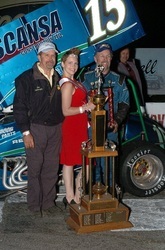 In night one, dale robinson was the winner in this same car. 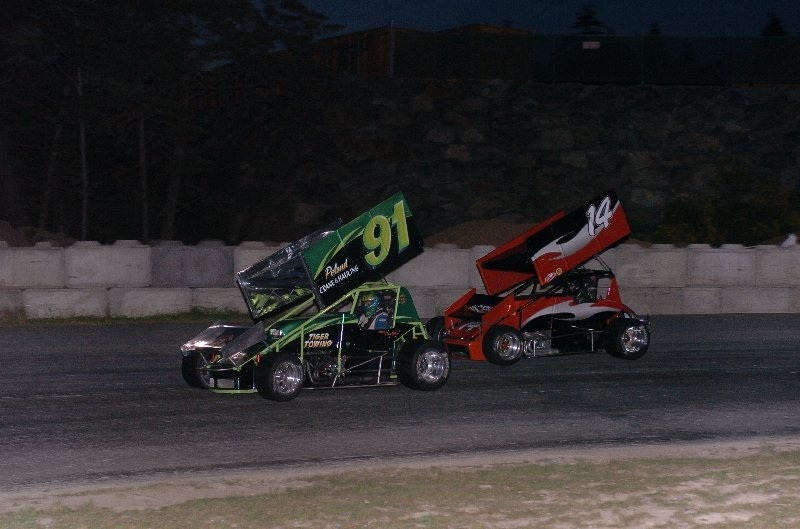 Rob scott had the pole position with marty venoit on his outside for the start of thirty-five laps of racing for the prestigious strawberry cup for the sprint car series and this was loud, furious, and fast and took little time to complete. 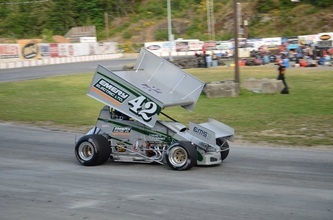 Scott got out early and into the lead followed quickly by merv barcelo, ron larson, and randy vincent. 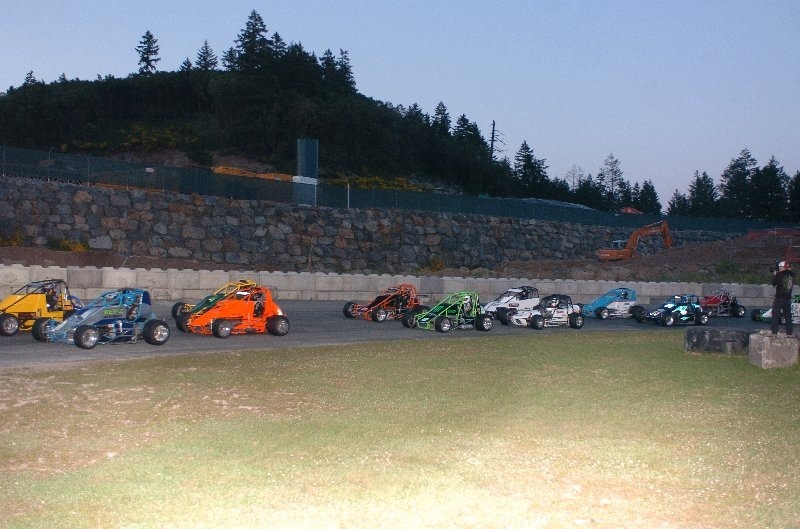 Behind them the fast qualifiers were trying to make their way through the pack and they included scott aumen, matt mansell, guy barrett, jeff montgomery, and sierra jackson. On lap twelve darren yates moved up to the fourth spot with barrett now up to fifth and montgomery and jackson still coming forward. 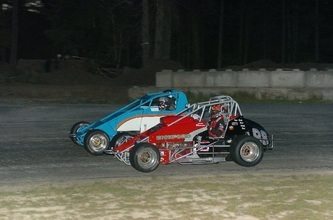 On lap fifteen, barrett went by yates and into fourth leaving yates to try and hold off jackson and montgomery. 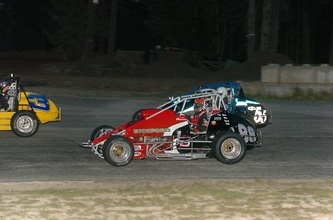 On lap eighteen "the hurricane" jeff mongomery pulled a daring move blowing by both jackson and yates and took over the fifth spot with barrett now in his sights. 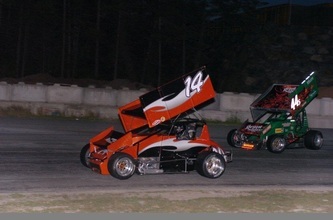 Up front scott continued to lead larson and vincent turning very fast laps. 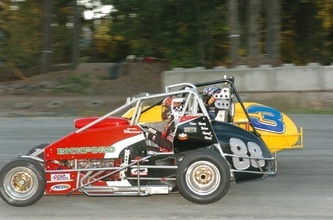 Vincent now had barrett on the rear nerf bars and montgomery bumper to bumper with him. 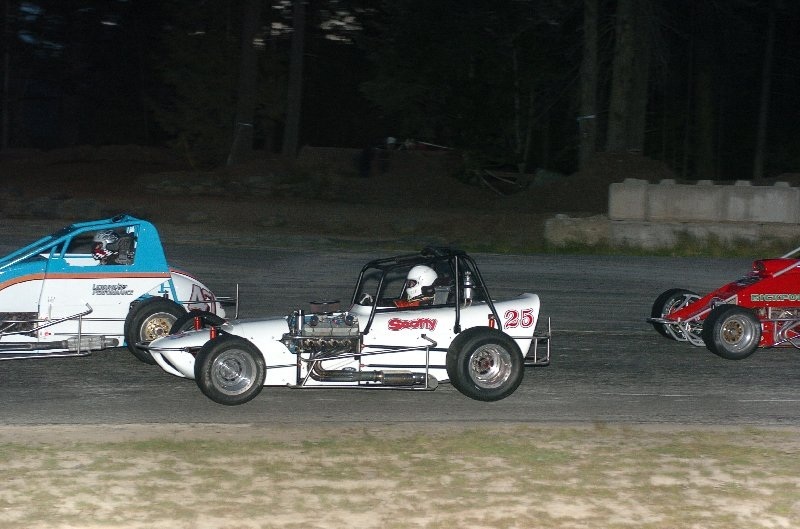 On lap twenty-eight, montgomery went to the inside of barrett with an excuse me and moved into the fourth spot setting his sights now on vincent. 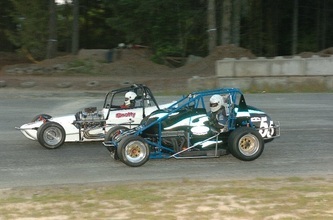 On lap thirty-three, montgomery made the pass for third blowing by vincent. 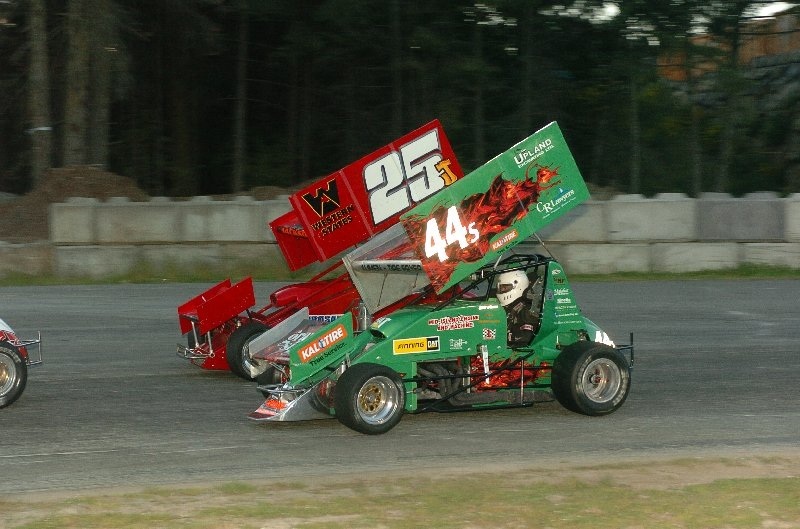 When the chequered flag dropped it was rob scott taking the win followed by larson, montgomery, vincent and barrett rounding out the top five positions. These twelve drivers ran flag to flag with no cautions at all in a very thrilling event that lasted almost nine minutes. 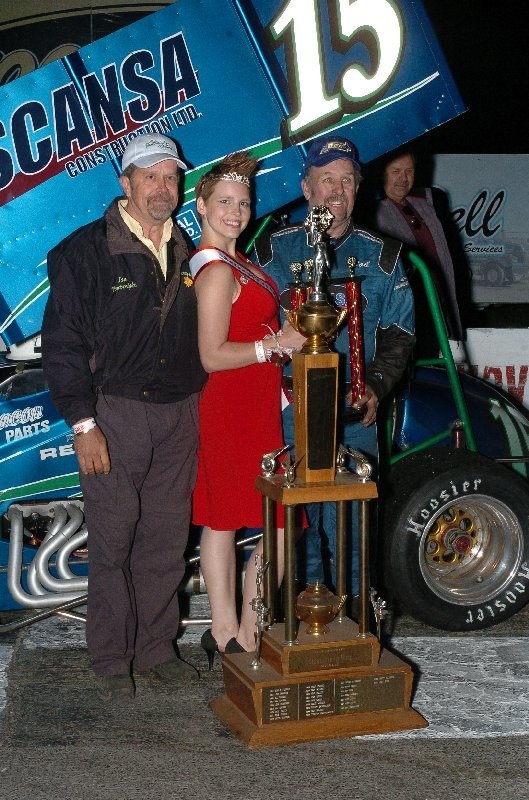 Ian vantreight was on hand along with marciia gringe to present the feature event trophy and strawberry cup to a very happy rob scott at victory square.